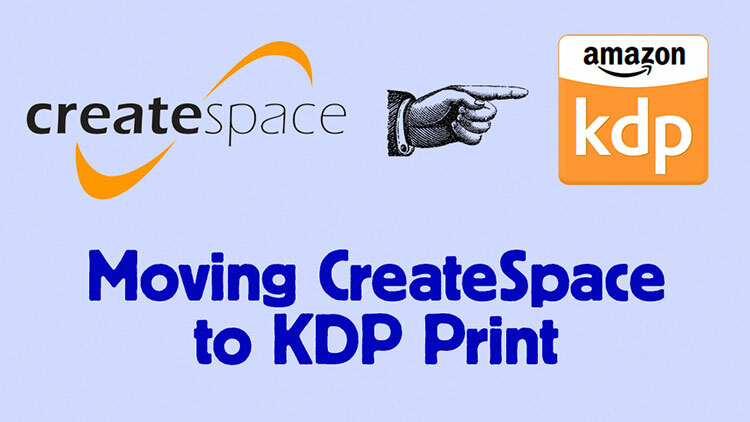 On August 28th Amazon announced that CreateSpace is merging with KDP Print. So, pretty soon established authors on Amazon will have to move their paperback listings from CreateSpace to KDP (or have them moved). And, if you want to sell a paperback book on Amazon you should now upload at KDP not CreateSpace. We always knew this was going to happen, we just didn’t know when. But, what does this mean? Well, it turns out, the world isn’t about to end. KDP Print has the same trim sizes as CreateSpace and most of the information that you fill out is the same. There are benefits: KDP gives you more keywords and also access to AMS advertising. Also, if you have Kindles they’ll already be at KDP, so now your e-books and real books are under the same roof. But there are also a few drawbacks: KDP is slower than CreateSpace. It has a longer payout cycle and a slightly stricter review process especially with regards to titles and subtitles. I’ve been trying to test the rule differences between CreateSpace and KDP. Whilst uploading to KDP I’ve been trying to get them pushed rejected by Amazon so I can see what you can and can’t get away with on KDP metadata and how it contrasts with CreateSpace. One thing I’ve learned is that the books are manually reviewed so the same titles can get rejected or approved depending on the individual who’s making the decisions at Amazon. The above video shows you the paperback upload process at KDP while publishing a notebook as well as discussing the differences between what used to go on at CreateSpace and what will happen now at KDP. Here are the major differences between CreateSpace and KPD Print, as far as I can see. Your title and subtitle together can’t be more than 200 characters, however KDP don’t want you to do 200 character titles. They say on their help pages: “Customers are more likely to skim past long titles (over 60 characters)”. So, I’m going to do what Amazon wants me to do – stick close to that 60 character guideline for my titles and subtitles together. Some of those surprised me. Please bear in mind: I’m not saying it’s alright to put the above in the titles. I’m saying that these words have passed the KDP review process and are selling on Amazon. I have got away with keyword-ish words here but it depends on the reviewer. I’ve had the same author name get rejected and accepted on different books. From now on I’m not trying to be clever with author names. I’m either making up something/someone with irrelevant keywords or sticking to a brand name publishers I have. (Or actually using my real name 🙂 see below). We have 7 * 50 characters = 350 characters. Many, many more than you could have on CreateSpace. Don’t use any words already used in the title, subtitle or author name, and just put as much as you can in there. No commas, no punctuation, or anything. Just words. I use Keywords Everywhere and Amazon suggest to eek out every last keyword I can get my hands on. The sizes and specifications for the interior and cover files are all the same, although the reviewer takes longer on KDP Print. However there is one important difference: on KDP, you can’t get away with printing outside the margins on the interior file unless you add bleed. It’ll only take a few clicks to move everything over and the date by which you have to do that hasn’t even been announced yet. Above is a video of me moving from CreateSpace to KDP Print. What sort of books am I publishing on KDP? 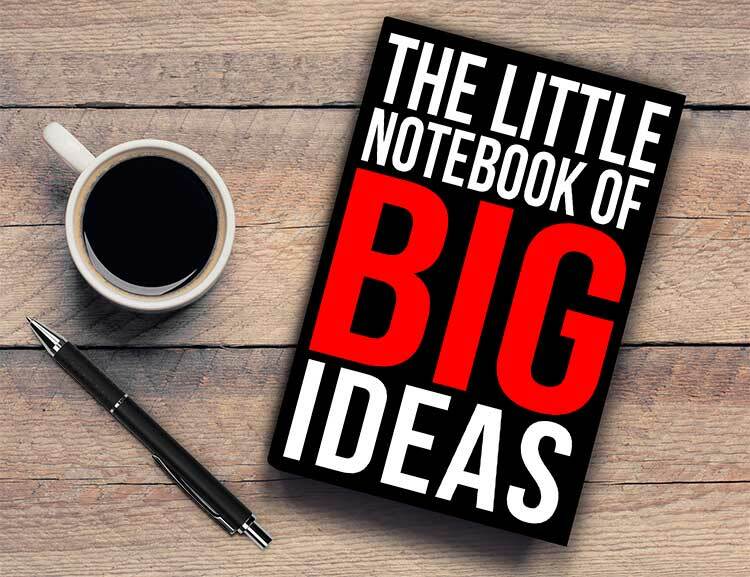 As many of you know, I’m loving my new business of selling notebooks and low content books on Amazon. Notebooks don’t have to be just blank pages. They can have something interesting on each page, for example: tiny illustrations, quotes, prompts, instructions. Above is a notebook for entrepreneurs. I like to create notebooks with special features – not just blank lined pages. For example, the above notebook has an inspirational quote to motivate and encourage on every page. There is also addition space in the notebook to write down and crystalize the following questions: What is your WHY? What are your daily affirmations? What are you grateful for? What are the loves of your life? It also has pages to set targets and three monthly goals. I put this notebook together to inspire people to plan, motivate, and take action. Maybe they will, or maybe they’ll just use it as a notebook. We don’t know. But the fact is, notebooks sell and make money on Amazon. And, as usual with Amazon, you’ll have to change the link to purchase it in other countries. Publishing books (e-books, paperbacks, audiobooks) remains one of my favorite entrepreneurial pursuits. I can not stress enough the importance of writing a business book if you are or intend to be an entrepreneur. Write and Self-Publish a Bestselling Book on Amazon 50% OFF with this link! Selling Notebooks & Low Content Paperback Books On Amazon 55% OFF with this link! Both have been updated to include all the new KDP Print publishing details. I’m my opinion, CreateSpace books won’t have any advantage over KDP books in the search results. Amazon must weigh those longer keyword-rich titles less in the algorithm than the more sparse KDP titles. And the extra back-end keywords in KDP are designed to level the playing field still further. It’s best to play by Amazon’s rules as much as possible. Do your best to describe the product to the customer as it is. And, carry on identifying niches and creating great products for them. Excellent video Rob. Forgive my ignorance – but when someone buys the book… how does Amazon pay the Author? And how is the payment process for the Author set up with Amazon for the payment? Hello Geoff, you set up your account with your bank detail initially at KDP. When someone buys the book Amazon will report the sale but they won’t pay you the royalty until the end of the following month. I hope this helps. Let me know if you have any more questions. Thanks Rob. Just noticed you have a course on Publishing to Amazon. Super. Do you go into those practical kind of details on the course? Actually, no. Honestly, the practical details of signing up to KDP ARE fairly straightforward. Let me know if you have any more questions. Thanks for updating us, Ron. Got a lot out of your notebook course and I will be making that one of my streams of income. I ran into a lady with 500 notebooks in Amazon who knew a lady with 3500 notebooks for sale on Amazon. Massive action! Seems like there is a long way to go before saturation. I am curious if you considered selling them on eBay, then printing and shipping to the eBay customer? Hello Scott, I’m so glad you got value from the course. Lots of people who took the course are now getting regular sales. I’m not great with eBay, I’ve never used it and never sold on it. I have tried selling notebooks on Etsy with no success. Yes, scaling the KDP business is the best bet. Great article! I’m an “established author” and I’ve stayed away from kdp print because the backend pricing wasn’t there. (About $2 for printed books) Is this now a feature for kdp print? Hi Brenda, yes you get the backend pricing now. Pretty soon you won’t have a choice though, we’ll have to use KDP for paperbacks.